Once the richest municipality in the state of Hidalgo, the town of Real del Monte offers visitors a quick look into the region’s mining heritage. 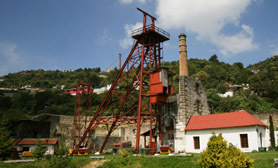 Popular tourist attractions include Casas Quemadas where the battle of 1866 took place, Monumento al Minero or Monument to Mining in English and Museo de Medicina Laboral, a museum that reveals to its visitors how workers were treated for mine associated injuries and illnesses such as silicosis. Tourists can tour the mines at Mina La Rica, Mina de Dolores and Mina de Acosta. 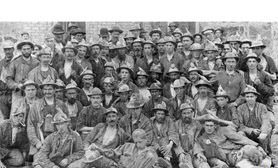 Close by is a tribute to the miners of England’s Cornwall region, who revived Mexico’s silver industry in Real del Monte in the early 1800s by bringing more modern methods of production.